A tribute to our legends and their music. The pioneering artists of Jazz come alive in Mama’s recreation of the mid-century night club experience. 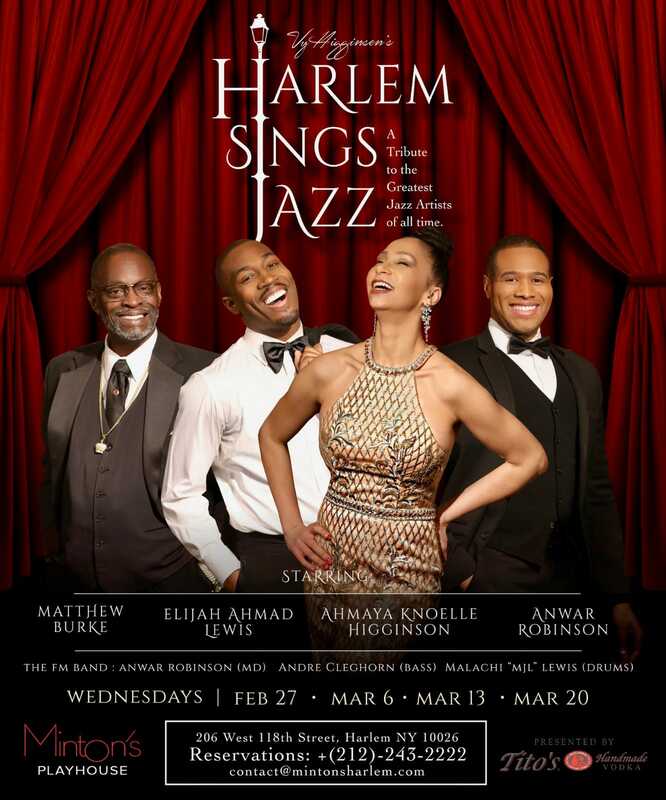 A quartet of unmatched vocal talent backed by a three-piece jazz band evoke the intimate vibes and speakeasy atmosphere of Harlem’s history. Doors open at 6pm for the 7:30pm set and open at 9pm for the 9:30pm set. Admission is $20 plus a 2 drink minimum per person for each one hour performance. *Sets are 1 hour long.